Check out Camp That Site‘s banner photo above. 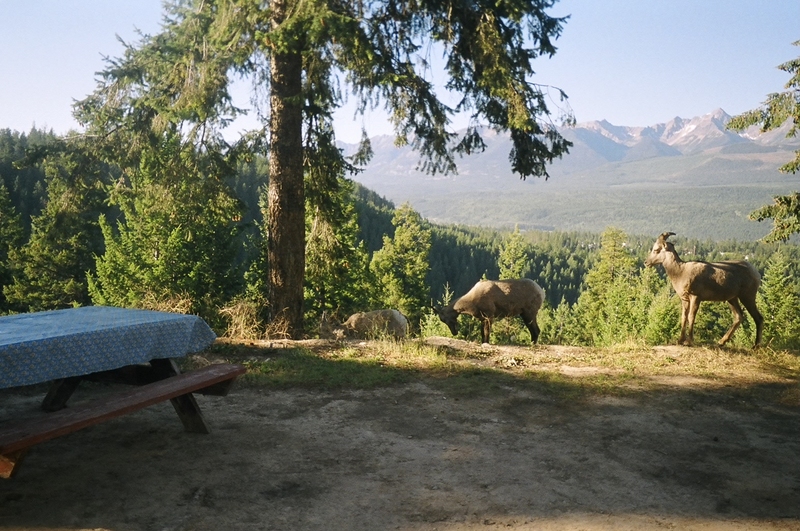 It’s such a fantastic mountain view from a private woodsy campsite that, to me, it epitomizes the perfect British Columbian camping getaway. 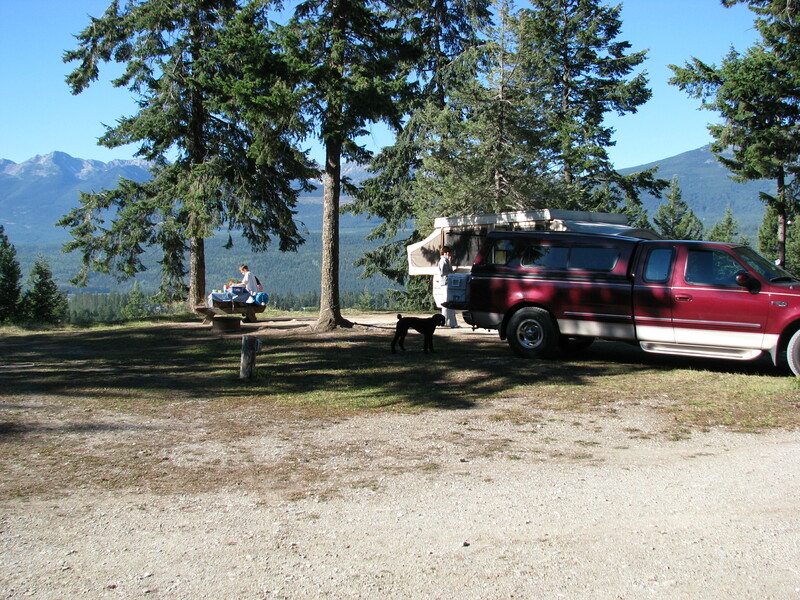 Problem is, we can’t remember what campground this is so I haven’t been able to do a review! If anyone recognizes this place, please let me know. it was just east of Golden on the south side of the TransCanada Hwy. Or maybe it was just outside Revelstoke? Or maybe it was Canyon Springs?? it was 2008 when we visited, so the place may have closed down since then. We can’t locate such a place or find similar images on Google. 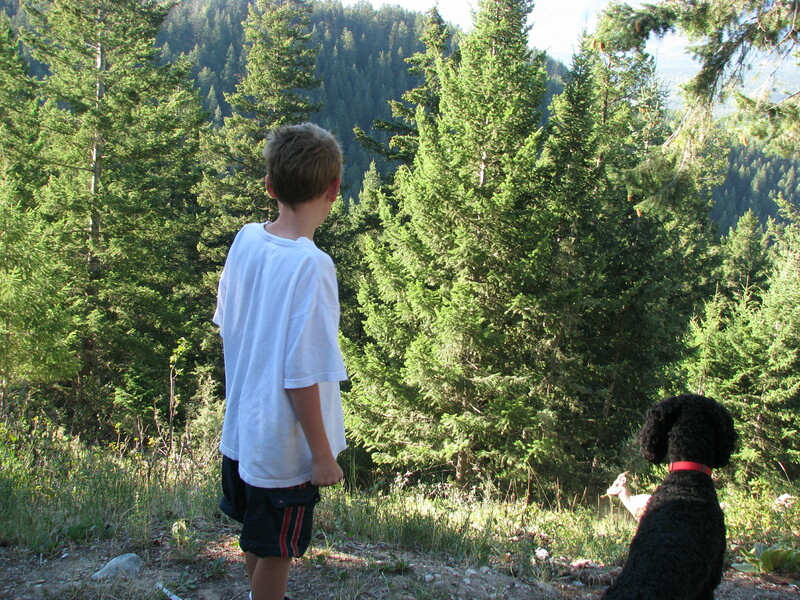 Below, check out other awesome photos of this same campground. 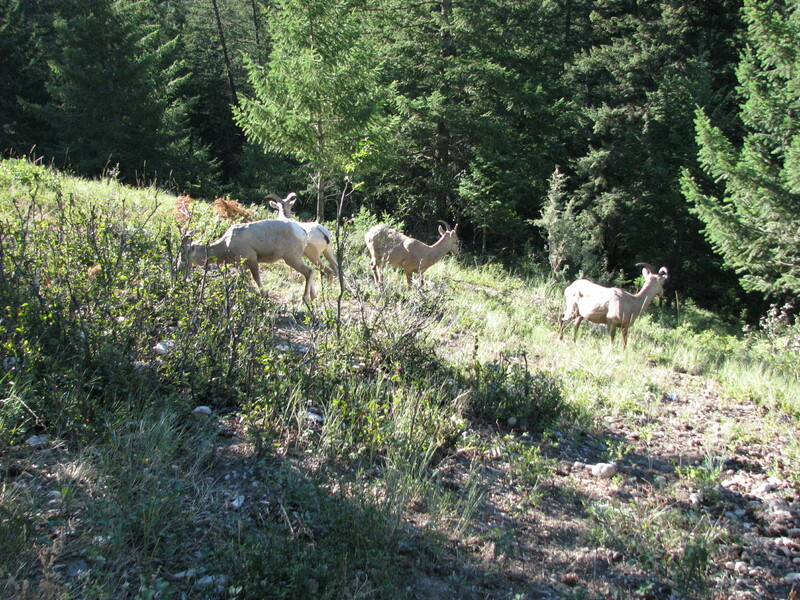 Yes, the big horn sheep came right into our site! its a beautiful part of the Rockies, just an hour west of Banff. 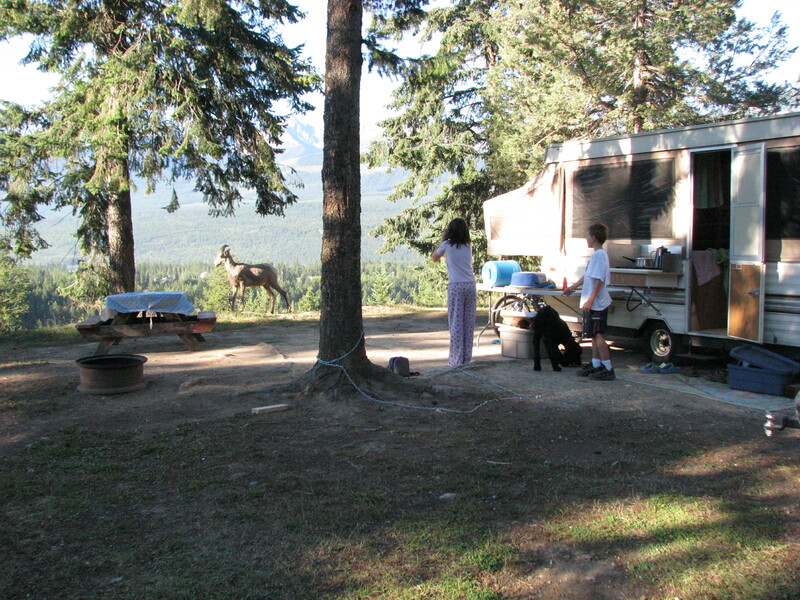 we used it as an overnight stop on a long trip from Vancouver to Alberta’s dinosaur area. We broke that first leg of the trip up with a long half-way lunch stop at Kamloop’s riverside park. the Golden area itself has great hiking and some hot springs. 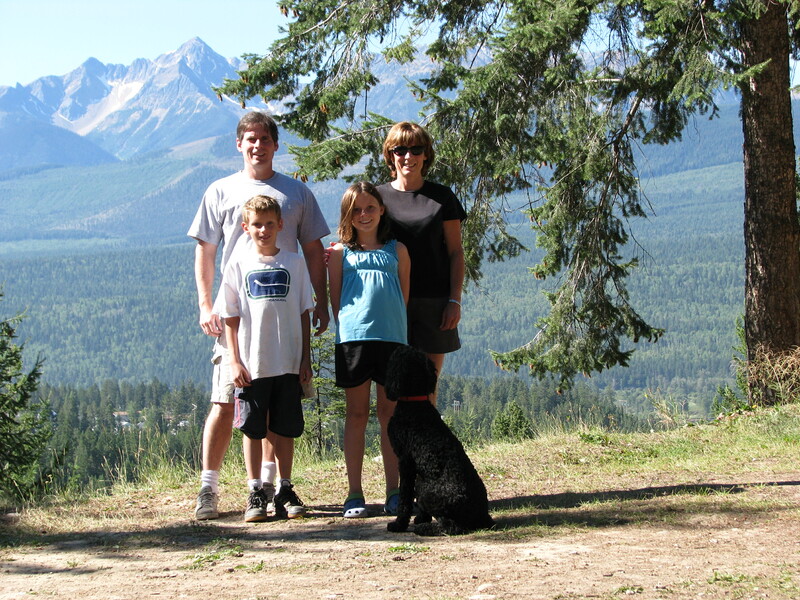 We stayed in Golden when we were in BC! It’s a lovely name for a place. We stayed at a B&B so won’t be able to help you with the campground unfortunately. 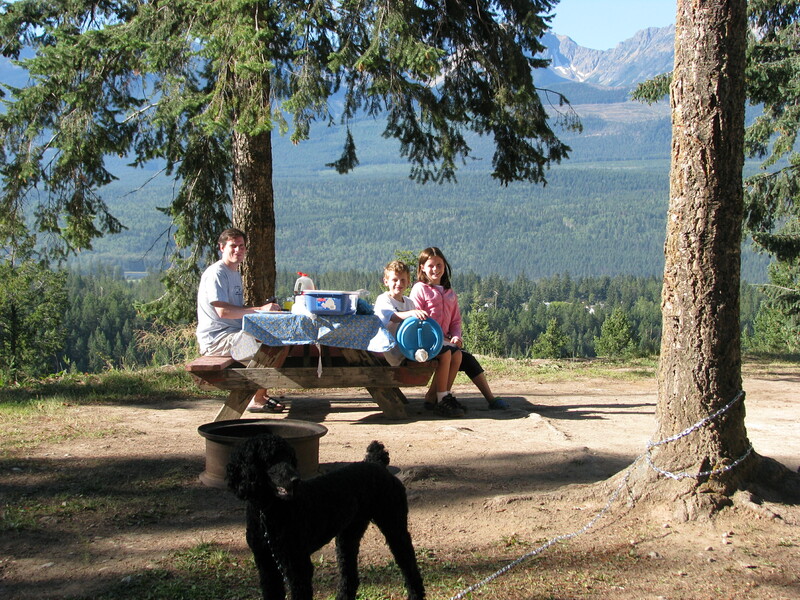 This is a beautiful campground – and I had wondered where it was from the banner. I guess I am not alone! (And I don’t have any help on identifying it for you). Excellent choice!! Would go back there in a minute … and yes, the scenery is breathtaking! !